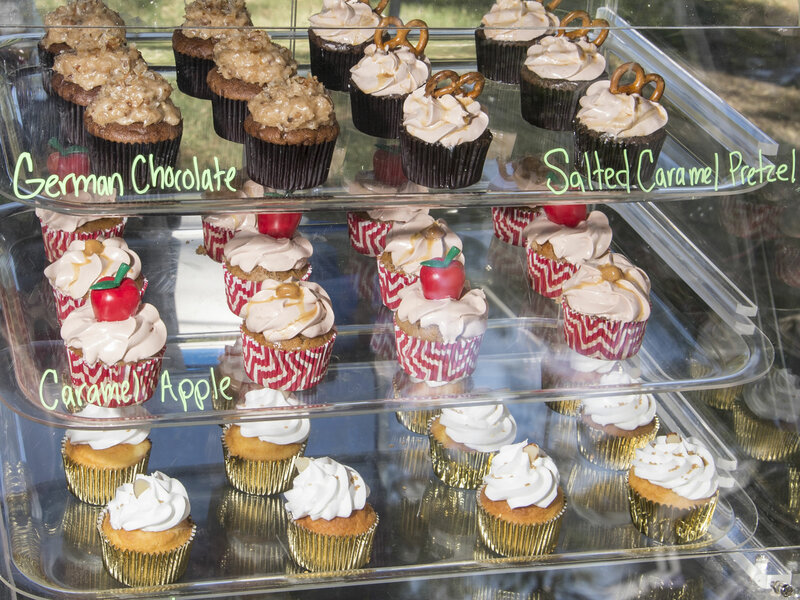 You won’t go hungry at our event. 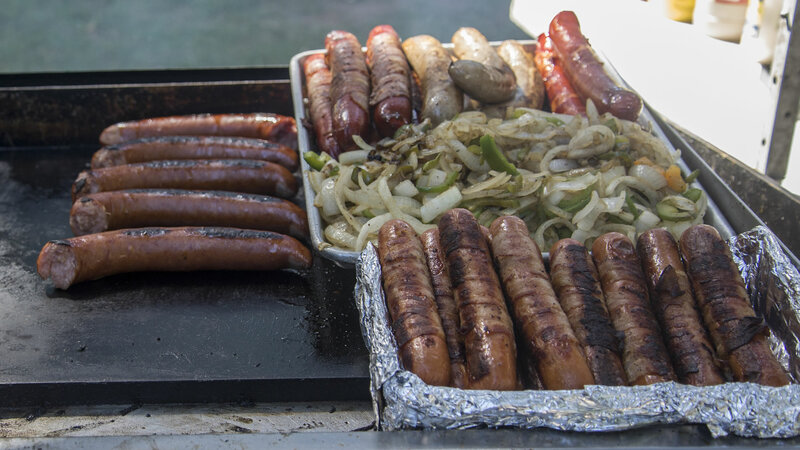 We will have some local favorites, as well as German Inspired Goodness that no Oktoberfest could be complete without. No need to get a baby sitter, because the kids will be well entertained at our event. 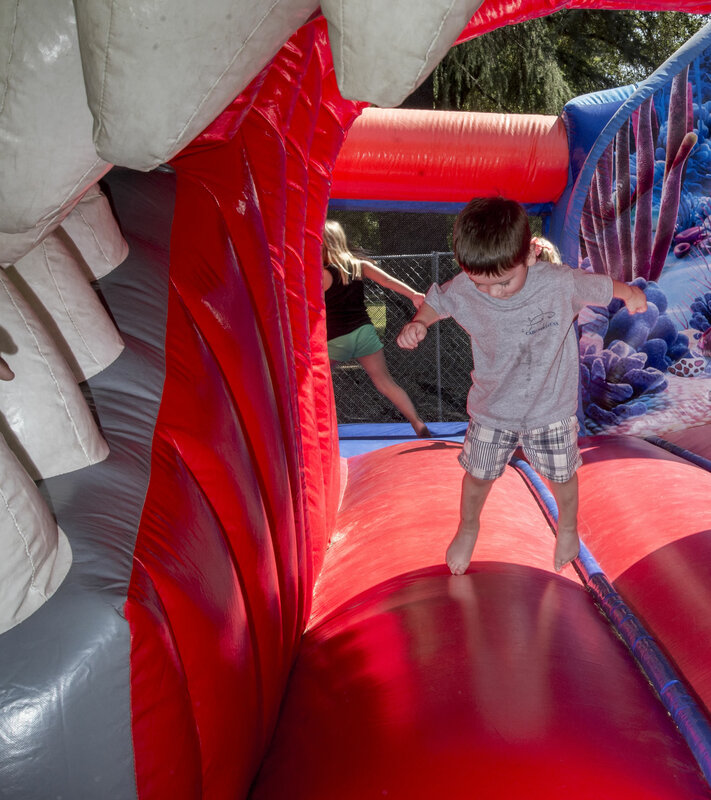 Last year we provided a bounce house, a climbing wall, and a slide, as well as some fun games for the kids to play. The Kid Zone is set apart from the drinking areas but is near enough for parents to see their children and interact with them. Whether you crave a strong dark German beer, a gentle pale ale or even a light beer, we will have the right brew to satisfy your desires. Our event sponsor Emerson & Farrar Jewelers will provide Munich-based Spaten Oktoberfest beer, one of the standards at German Oktoberfest celebrations. All Beers provided by Emerson & Farrar Jewelers are as follows: Spaten Oktoberfestbier-Marzen, Spaten Lager, Spaten Optimator-Doppelbock, Franziskaner-Hefe-Weisse, & Bud Light- American Light Lager. All Beer at this event will be served on tap. Local craft breweries will also be present, including Ritual Brewing, Hangar 24, & Escape Craft Brewing. Supporting this event supports Redlands business. How long can you hold a stein full of beer at arms length? This is your chance to find out! Or maybe it’s time to show the world how well you can yodel. 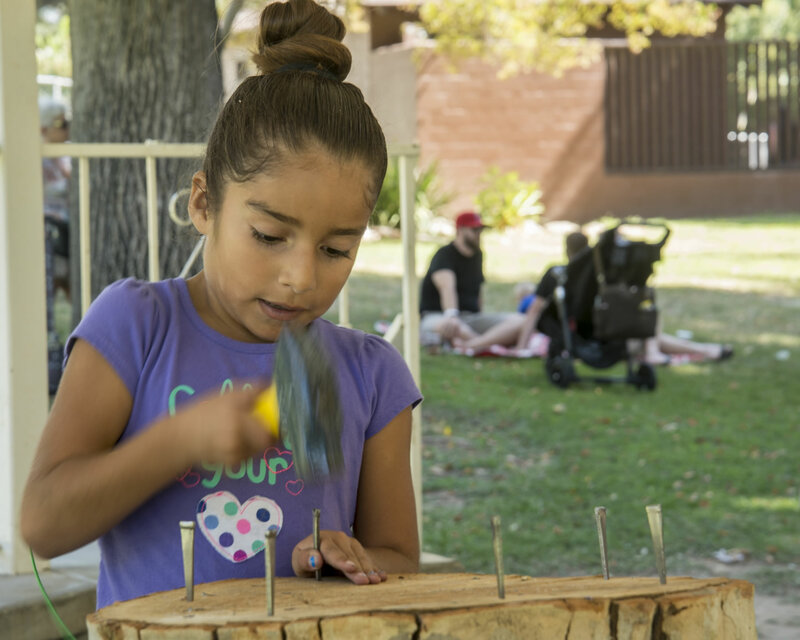 And of course there will be a semi-traditional hammerschlagen contest, involving the pounding of a nail into a wooden stump, egged on by a cheering crowd. If one of these Oktoberfest contests appeals to you, start practicing, because you might win a beautiful stein and the admiration of your fellow celebrants. And don’t forget to dress the part, because the judges will be selecting the best dressed in both Lederhosen and Dirndl costumes. Don’t expect heavy metal or Beethoven at this event. 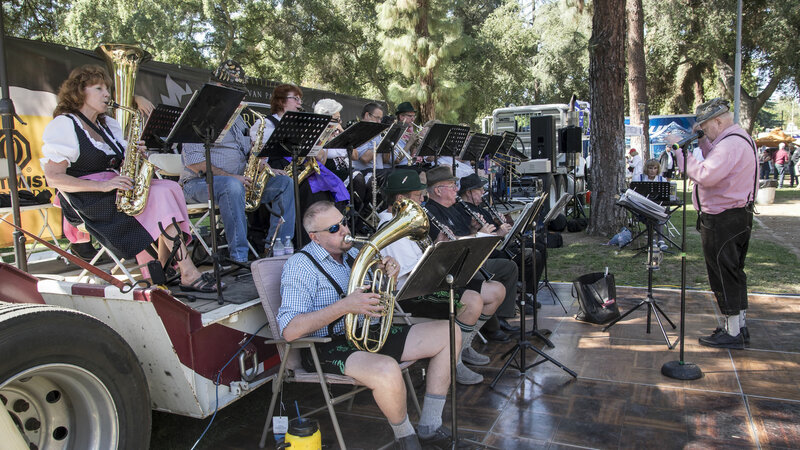 We have an authentic German band, the American-Bavarian Brass Band, which will regale you all day with German folk music, marches, oompahs, and polkas, with occasional sing-alongs thrown in. As a bonus, by the end of the day you will have learned a bit of German, at least enough to sing along with Ein Prosit and Eins, Zwei, G’suffa! 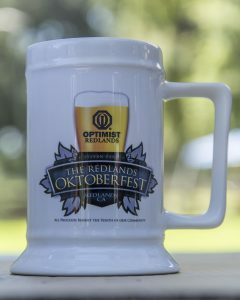 Share Redlands Oktoberfest with the world! ©2019 Redlands Oktoberfest | Design and Marketing by Creative 7 Designs Inc.